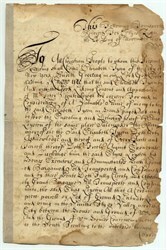 Old Colonial New York Document Land Transfer dated 1692. 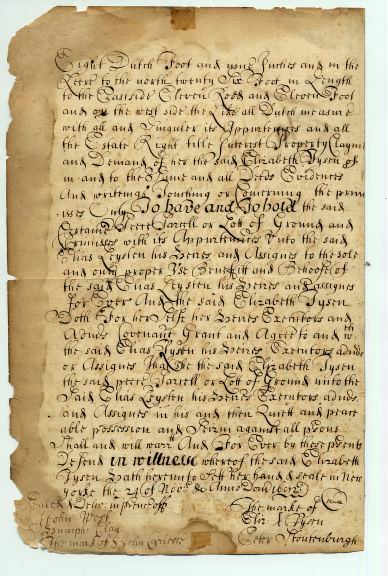 This document transfer land owned by Elizabeth Tysen of the City of New York to Elias Leyster. 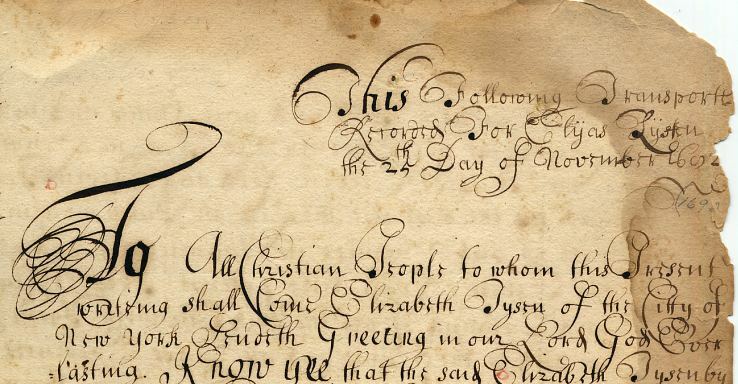 Signed Peter Stoutenburgh and Elizabeth Tysen. Witnesses include John West, Sammuph? Clay. 14 X 9 inches. Some wear, minor splits and soiling.